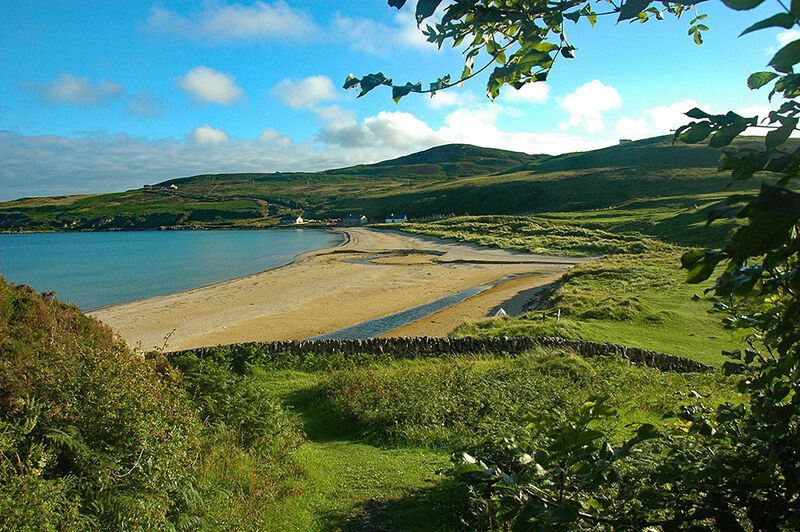 A view of the north eastern end of Kilnaughton beach, Port Ellen visible in the distance on the right across Kilnaughton Bay. Between the rocks the remains of the old hut, to my knowledge it was an old changing hut for bathers. 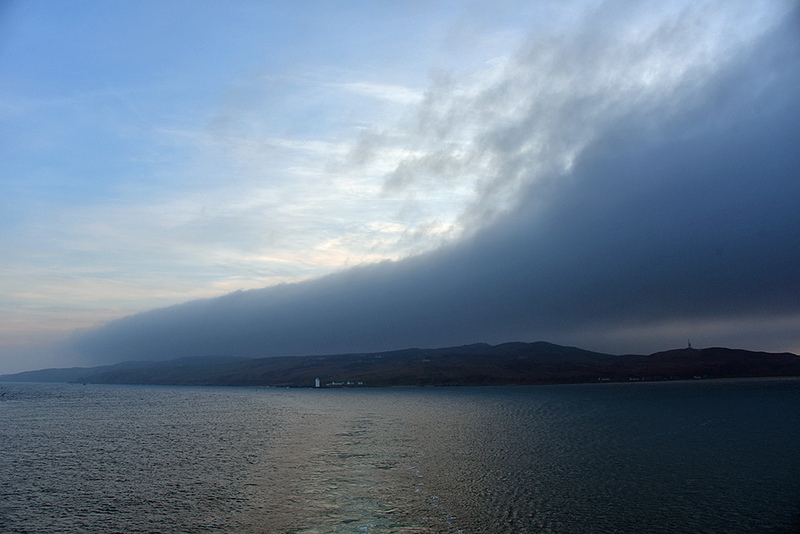 Seen from the incoming Islay evening ferry arriving in Port Ellen, some very dark clouds moving in over the Oa. Carraig Fhada lighthouse left of centre, Kilnaughton Bay towards the right. 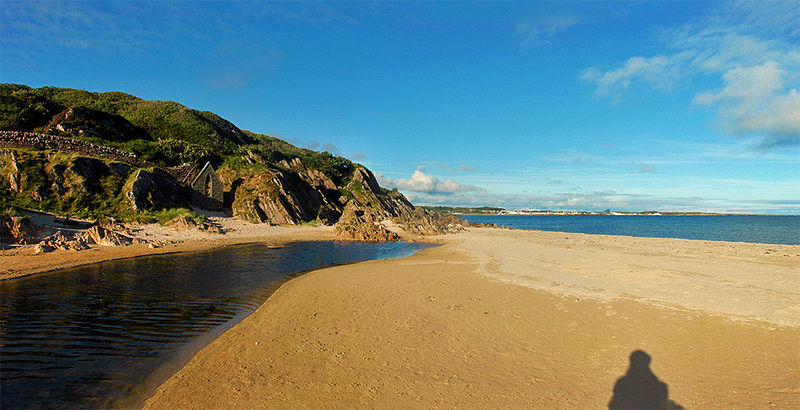 A view from the footpath through Coille nan Sglithean, taking you from Imeraval to Kilnaughton Beach. Taken on a beautiful July afternoon on Islay.